Paul was in a horrible storm and on a prison ship on it’s way to Rome. He had tried to warn them that the journey was a bad idea. Now after fourteen days of being in a storm that seemed intent on destroying them, Paul tells them to hold on to their courage. Because he had heard from God. He received a message from God through an angel that Paul would make it to Rome. He looked to God when the winds screamed and whipped. When the waves surged and overwhelmed. He heard God speak over the storm and believed him. When Paul’s courage waned as he looked at the dark shy- he looked beyond it to God. God didn’t promise the journey would be easy, He only said that it wouldn’t kill him. But even more- God saved all those with Paul. Even though they didn’t listen, even though they stubbornly went ahead anyway. Even though they made mistakes, even though they didn’t deserve it. Paul told those men to keep their courage and they did. They survived the shipwreck and Paul made it Rome. Keep your courage. Hold onto it. Look past the dark sky of the storm to God. You will get to where God wants you to. There is no promise that it will be easy, only that it will be possible. You might even be in the storm because someone else decided to not heed the warning. Paul knew that it didn’t really matter why he was in the storm anymore. He was in it. Now all that mattered to looking to God to help him keep his courage and survive it. 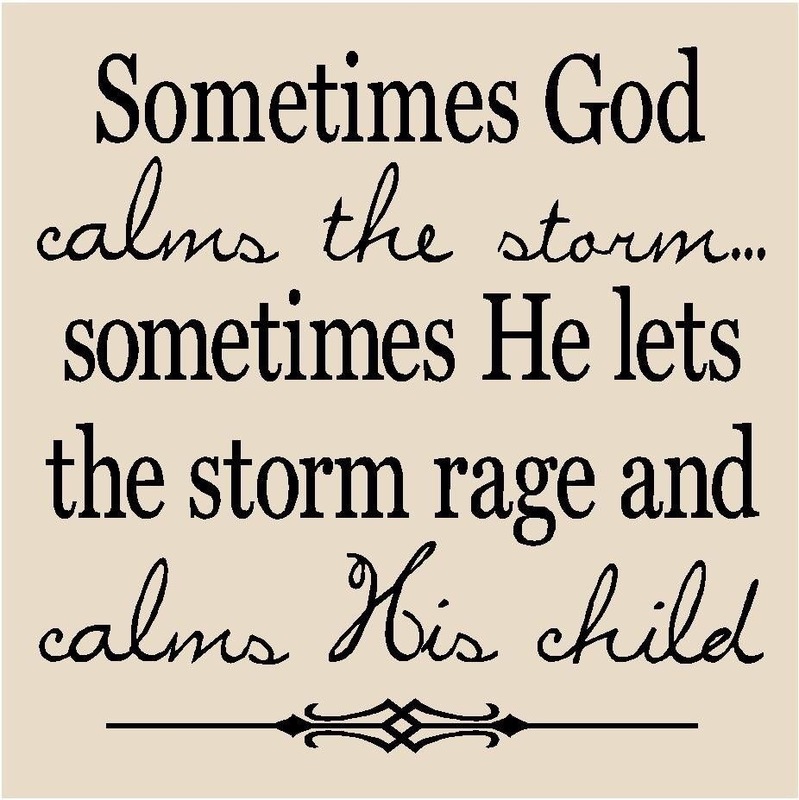 Sometimes God quiets the storm. Sometimes He lets the storm rage and quiets his child. Either way- He is with you.